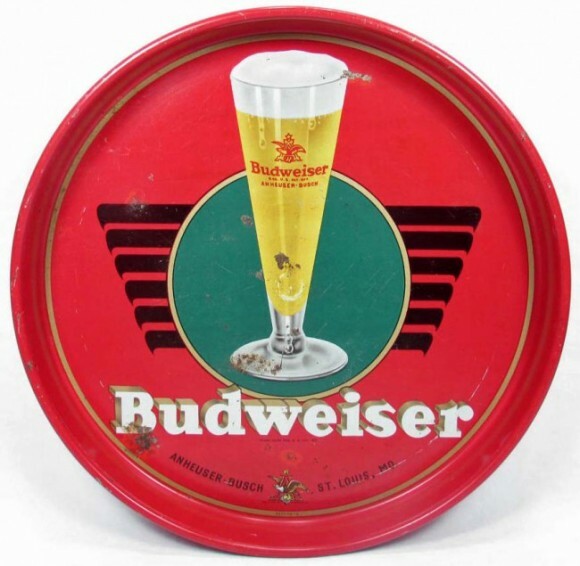 Serving Tray for Budweiser Beer from Anheuser Busch out of St. Louis, Missouri. This tray dates to the late 1930s or early 1940s and is found as a 13″ or 12″ round. The center shows a tall glass of the company’s brew with black decoration behind sometimes refereed to as “Eagle Claw”.